Despite being released for three years, iPhone 6S is still a great phone that are used by many people. However, after iOS 12 update, a lot of iPhone 6S users still complain about fast battery drain on their phone. If you are also using an iPhone 6S and facing the same trouble, here are some ways to fix poor battery life on your iPhone after the iOS update. If you have just installed iOS 12 update on your iPhone 6S, then you should give your phone a couple of days before your settings or habits are altered. Sometimes, the battery needs a few days two to settle in immediately after a new update is installed. So, take note for future updates of iPhone 6S. If you have never used this feature on your iPhone 6S, then you should start using it now. Low Power Mode will stretch your battery life up to 10-20% longer without killing any core services. All you need here is toggle its switch on and your phone battery will automatically be saved up for critical situations. When your battery is down to 20%, you will get a prompt asking you if you want to enable this mode or not. 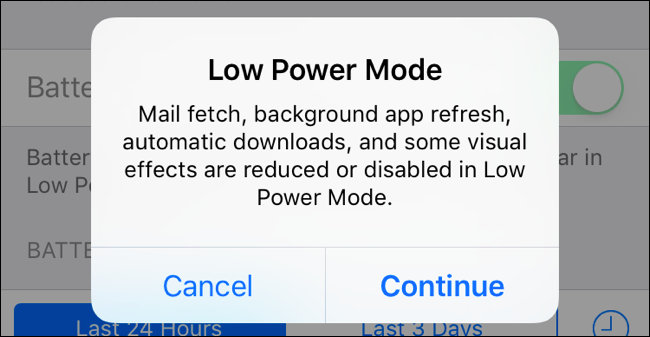 You can also activate Low Power Mode in your iPhone 6S anytime. To enable it, go to Settings > General and enable Low Power Mode. Once you update your iPhone 6S to iOS 12, you can also put Low Power Mode into Control Center for easier access. To do so, go to Settings > Control Center > Customize Controls and tap on the green icon next to Low Power Mode. If you use your iPhone 6S in a bad service area, your phone will need to work extra hard to find out a signal, which will kill your battery life faster. In such cases, you can do a few things that are turning off your cellular data or killing all of your connections with Airplane Mode. To switch Cellular Data off, go to Settings > Cellular and turn it off at the top there. If it doesn’t work, you can try the Airplane Mode. You can turn it off at the top. You can blame Apple for your poor battery life, sometimes, it comes from a rogue app that is causing the drain. If your battery suffers an abnormal drain, you should check your app usage. If you use an app a lot, your battery will drain so fast. We recommend you to check your iPhone 6s’ battery usage tool from Settings > Battery. You will see it under the Battery Usage header. With this tool, you can check apps that are eating the most battery. By default, the last 24-hours tap will show up, and you can check what they do an extended period of time. If there is something that is not right, you can do a few more steps. Try downloading the latest bug fix update if it’s available. If it does not help you, try uninstalling apps causing problems and then reinstalling them again. Toggle it off for the apps that are causing problems. You can also turn it off completely, but you may not like doing that. Location Services (GPS) absolutely wreak havocs your iPhone 6S battery life. If you have used Google Map or Apple Maps for an extended period of time, you should then realize that. To get a handle on when you use Location Services, go to Settings > Privacy. From there, disable Location Services completely. However, you should go through your apps to determine which apps are allowed. If you don’t want some apps to use Location Services in the background, you can limit that just with a simple tap. Animated wallpaper makes your phone more impressive, but they also take up precious battery percentage points of your iPhone 6S. If you want to save your battery maximum, you should use static images. To check Push Notification settings on your iPhone, go into Settings > Notifications. 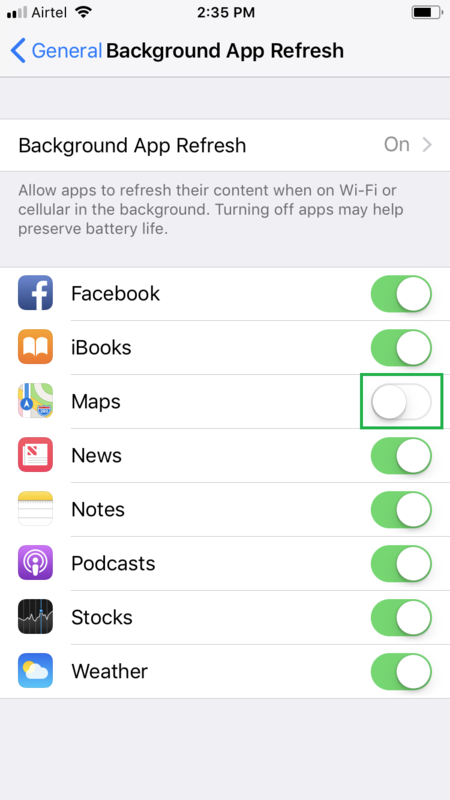 From there, you can turn off notifications for all of your apps that you don’t use on your iPhone. 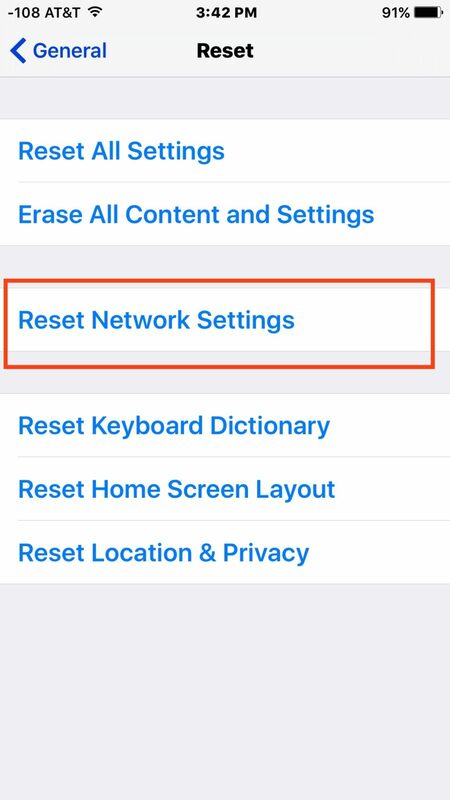 If none of the above methods help you, you should try resetting your iPhone’s Network Settings. Since the process will cause your iPhone 6S to forget the saved Wi-Fi passwords, so make sure you have those handy. Tap on General > Reset Network Settings. Confirm your choice once again. If you’ve tried all above little fixes, but nothing worked, the last resort to fix your bad iPhone 6s battery life is resetting all settings.